According to Proverbs 16:31 (“The Message” Bible Translation), “Gray hair is a mark of distinction, the award for a God-loyal life.” Roswell Street has been blessed with an abundance of senior adults who have served the Lord well! 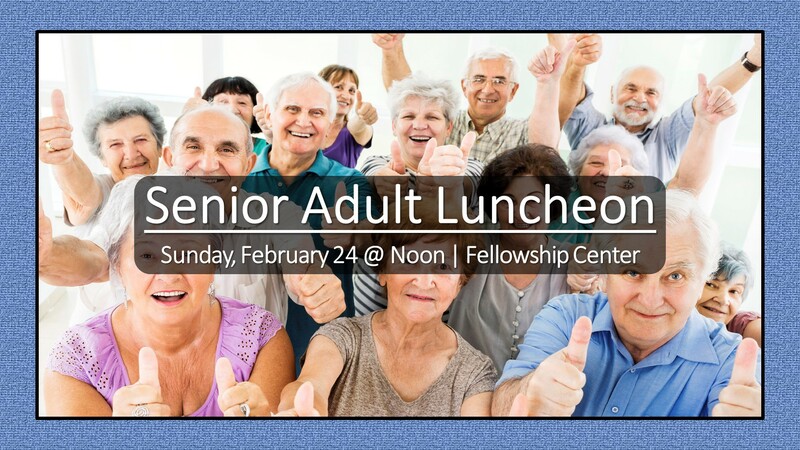 We want to honor our seniors with regularly scheduled Senior Adult Luncheons where we can express appreciation and provide a platform for fellowship and the ‘breaking of bread’ together. The cost is $5/person and each luncheon will include an inspirational moment!